If you want to learn, you need to try new things. That’s exactly what we did by organising the first Asian learning experience design conference in Singapore. Let me share my personal experience with you about what happened during LXDCON Asia 2017. I had the privilege to host a sold out learning experience design masterclass for an international group of learning professionals. The goal of this masterclass is to offer a good starting point and clear direction for designing better learning experiences. It was six hours of stories, ideas, assignments, concepts, theories, drawings and prototypes. Intensive? Definitely! Enjoyable? Absolutely! We worked hard, had fun and got some great results. As the participants will continue to develop their competence as learning experience designers I’m really looking forward to find out how their teaching and training has improved. Key takeaway: There is a lot you can do in one day. To keep things moving scaffolding works great. 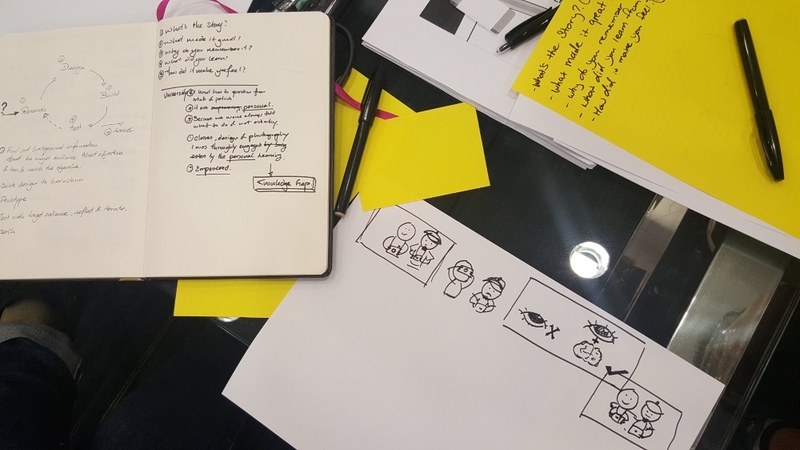 On the first day of LXDCON Asia we focussed on the theoretical side of learning experience design. Through a series of talks, our group of experts addressed some of the core concepts of learning experience design. Concepts like human centred design, constructive alignment, learning environments and the paradigm shift in education that is transforming the way we learn. It once again shows how learning experience design is a diverse field of expertise that synthesises several perspectives and insights from science, design and education. Also, there were a number of poster presentations from local teachers that have used learning experience design to improve their students’ motivation and results. Having trained them earlier this year it is great to see how they continuously improve their designs. I’m quite proud of them! Key takeaway: Learning experience design has many sides to it. Offering different perspectives on the same subject is both refreshing and inspiring. The second day of the conference offered number of challenging workshops to put theory into practice. As much as I love the conceptual side of learning experience design, there’s nothing like actually designing and creating a learning experience. The participants were hungry to apply what they had already learned and gain new insights, knowledge and skills at the same time. The energy level was high and the output was amazing. Once again variety was key in making this day complete and meaningful. Key takeaway: Reflection on learning is essential. Taking the time to look at what’s been created and talk about what happened adds so much value and meaning to the experience. LXDCON Asia 2017 is hosted by Nanyang Polytechnic in partnership with Shapers. Check out lxdcon.com for upcoming conferences.